What could be more Christmassy than an article about trees? Here we have the famous agnostic, Thomas Hardy, indulging himself in a little bit of Christmas Romanticism, apparently wishing (although not expecting) that a popular Christmas legend might prove to be true. Whilst this hardly counts as apophenia (the quest to see patterns in data where there is no pattern), wishing for things that we ought to know are impossible inspires a great deal of Oxfordian field research. Visits to Castle Hedingham and Bilton Hall, for example, may well strengthen the faith in the hearts of the true Oxfordian like a visit to Midnight Mass will rejuvenate a Christian, but surely they realise that geographical exertion and exploration are not going to turn up actual evidence of their messiah's hand in the Shakespearean inkwell? There is a lot of this sort of thing about. We looked at Roe's Italian explorations earlier in the year. 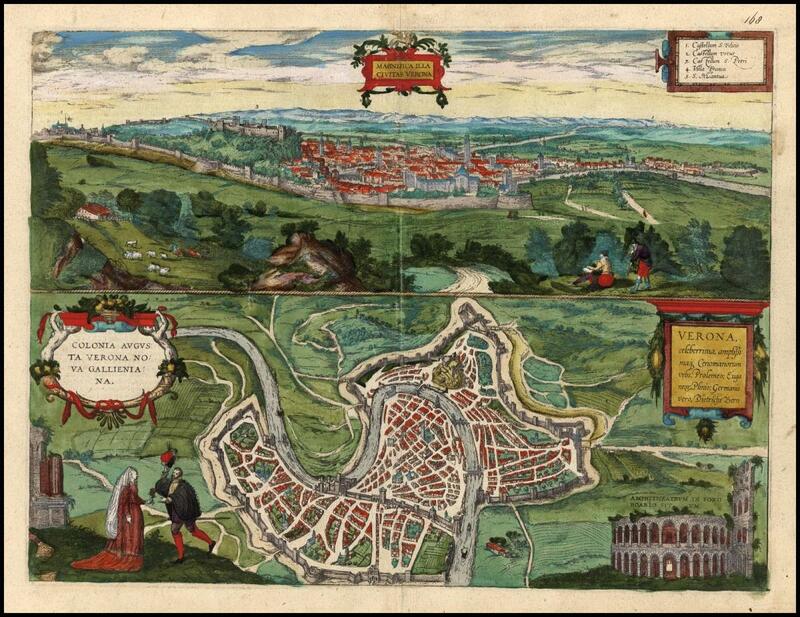 His mapping of the Italian canal network and his claims for Oxford's use of it have certainly kept a lot of keyboards busy this autumn. His Sycamore Grove discoveries have also cropped up again in discussion columns recently. Armed with the unimpeachable source book, The Observers Book of Trees, 1963, as a Christmas Offering to the Bard, I propose that we drop this particular wishful, romantic illusion forever. As a travel writer, Roe is really very readable and his adventures are always narratively exciting, with scene-setting prologues before his cast takes to the stage. Here, Roe arrives in Verona and clambers into a taxi. Taxi drivers are amongst Roe's favourite authorities. 'Take me to the sycamores' he appears to shout as, shortly afterwards, the taxi driver stops and exclaims back "Ecco, Signore! There they are!" Roe clambers out with his camera, takes the pictures you see above and marvels at the circle of life and the continuous but ever changing flow of the river of history. 'Truth,' Roe opines, 'is revealed in trifles'. With one or two teensy-weensy, trifling problems. Could he, perhaps, have taken better photographs to illustrate his discovery? If you've found the trees in your quest, is it a good idea to walk 300 metres in the direction of town and shoot them from the far side of a 60' wall through a small opening? And are you sure they have any connection with the sycamores of old? This may be about where Roe's taxi stopped on Via Colonello Galliano. What we see here is avenue-straight, civic planting from the 1980's. 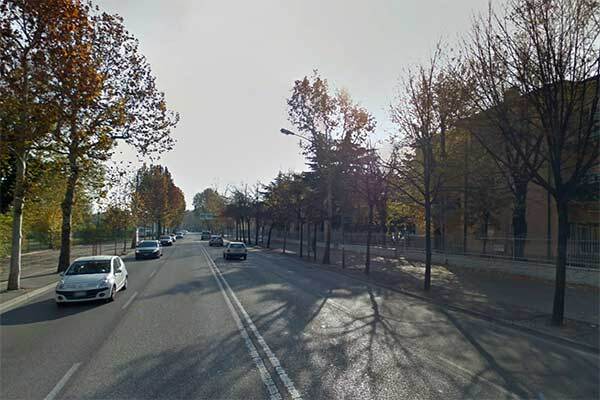 These are young trees planted to shade pedestrians on what is clearly a modern road. They are clearly not the ancient groves cut by subsequent development that Roe detects. And here we hit another trifling problem. Civic planters don't like sycamores. They reproduce like wildfire and drop massive amounts of litter in autumn and their leaves can become spotted with black mould in areas of high pollution. Time for the majestic authority of The Observer Book of Trees. 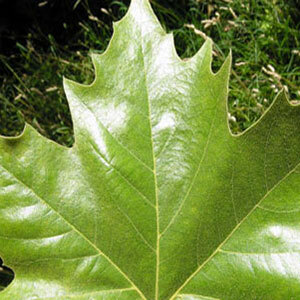 The leaves on sycamore trees are distinctive, as is the smooth, dark brown bark. Now, a tree which is very popular with civic planters is the Plane tree. 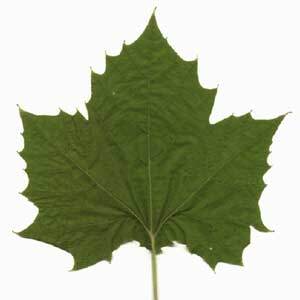 The Plane tree is highly resistant to pollution, highly resistant to root compaction, has a long fall so the leaf litter doesn't all appear on the same day, and has a distinctive, shiny-topped leaf. These leaves resist smuts and pollution which are washed off in any half-decent shower of rain. Apart from the shine, the leaves are virtually indistinguishable from sycamore leaves. 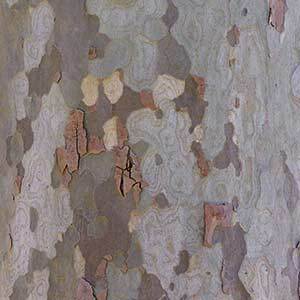 Par contre, the bark of the plane tree is quite distinctive in that it peels off or exfoliates easily in irregularly shaped patches, producing a mottled, scaly appearance. Plane trees are therefore easy to identify by the bark, though very similar to sycamores in leaf shape and overall profile. So back to those trees on the Tangenziale in Verona, (you may be ahead of me, by now). 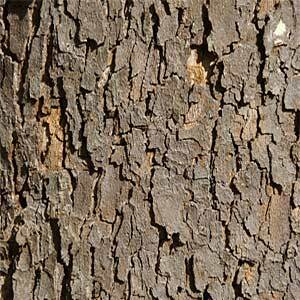 Yes, the mottled bark reveals them all to be plane trees. All the sycamores Roe saw on his taxi drive had the correct leaf shape but the wrong bark. 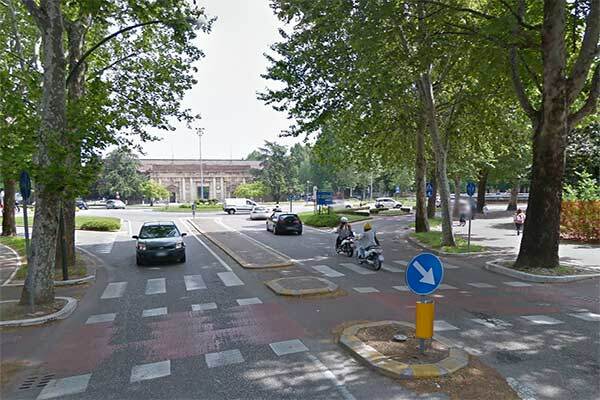 And of course, they were all planted by the Verona civic authorities some time in the last 40-50 years and never stood in groves. The absence of any groves is clear on an engraving from the time. In an actively defended city, no sensible commander would allow groves of trees to mar the carefully engineered sightlines for defensive musketry and artillery. Maybe the authorities in Verona should plant some. 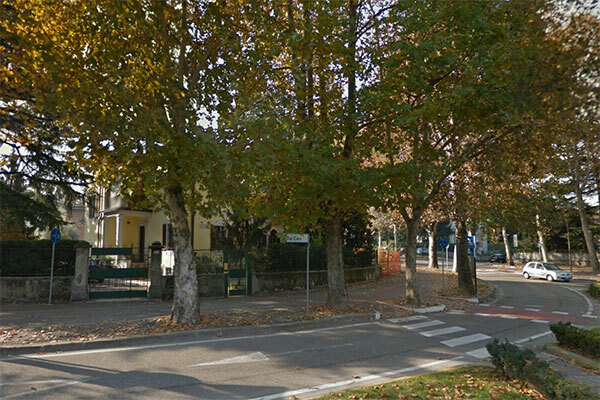 There IS a sycamore tree rooting from its walls but it is a single tree, perhaps left there deliberately to enhance the city's connection with Shakespeare's play in precisely the same way as Juliet's balcony was added to the Casa Giulietta in the 1920's. 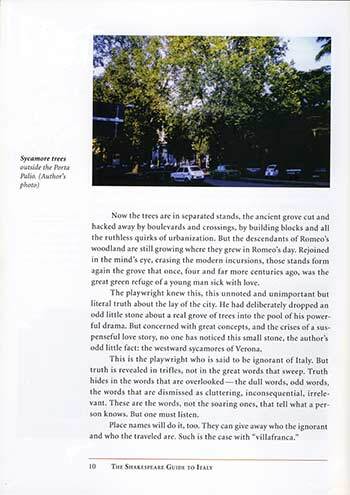 It would be ironic if Stratfordians could legitimately accuse Oxfordians of supporting the Verona tourist industry with their insistence on Roe's sycamores, wouldn't it? 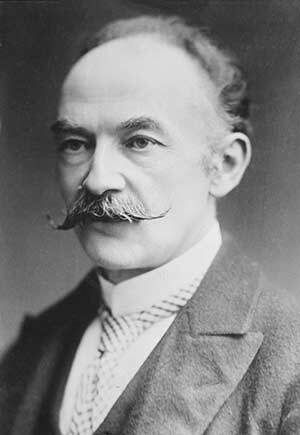 Anyway, wherever you stand on the argument, everyone at Oxfraud (and Thomas Hardy, I'm sure) wishes you a Merry Christmas. 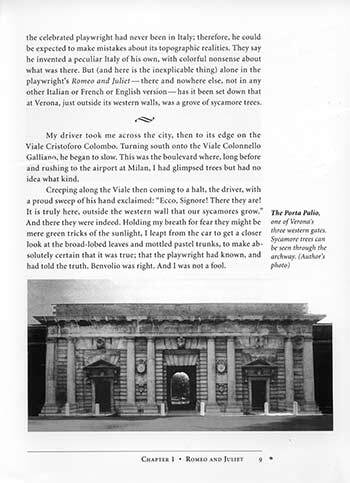 So if Shakespeare did not get the Veronese sycamore tree from personal experience, where can the idea have originated? Looking up other early uses of ”sycamore” besides the three in Shakespeare (R&J, LLL, Othello) in Literature Online (LION), here's what turns up. Unknown, “The Flower and the Leaf”, c. 1450, l. 33. No help there, either, but at least we’ve established that sycamore trees were known to early English poets, some of whom, unlike Chaucer, may not have travelled to Italy. Mmm, maybe, but not really all that specific. No doubt Shakespeare read Sidney, but we know of no one who claims that his Arcadia was a source for R&J. Hearing my cries, are sworne not to be merry. When trees, and stones for greefe are dying by me. Whoa! Paydirt! Does that not sound like Romeo moping around lovesick in the sycamore groves? Let’s look a bit further into the book. And drive to where Diana now doth stay. Diana was a major source Shakespeare used in the composition of The Two Gentlemen of Verona, dated between 1589-1591, so we know Shakespeare had access to it before it was published. I propose that Shakespeare possibly got the idea of heartsick lovers lamenting under sycamore trees from his source for an earlier play, also set in Verona, 2GV.